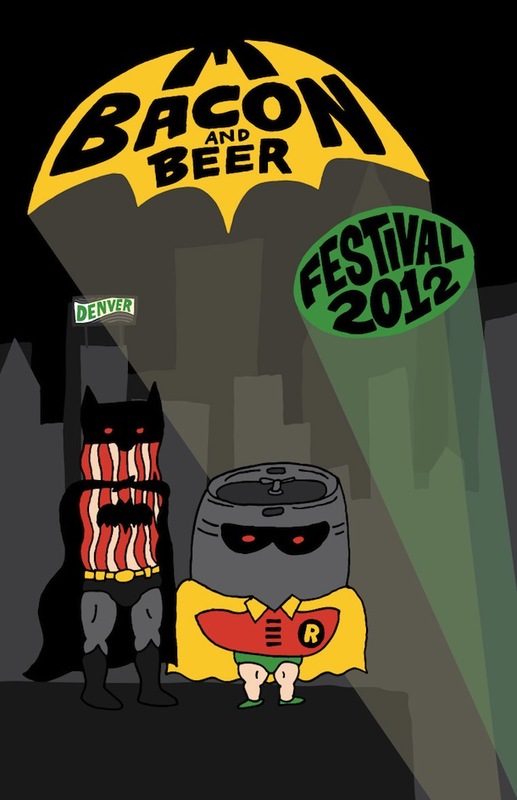 12/2 Update: The Denver Bacon and Beer Festival is sold out. There is a slight possibility we'll be releasing a few more tickets prior to the event. Sign up on the waiting list to be notified if we do that. There will not be tickets available at the door unless anounced here. Denver's first Bacon and Beer Festival is coming Sunday, December 9th from 2:30pm to 5:00pm at Mile High Station brought to you by @eatboston, Forkly, and Denver Off the Wagon. Denver-area restaurants will be offering their fabulous bacon-based dishes for you to sample paired with beers from amazing breweries. If you need more of a reason to attend, proceeds from DBB12 will benefit Metro CareRing and Project Angel Heart. Your ticket gets you in to Bacon and Beer Fest where you'll be able to sample the dishes and the beer. There will be other people there with the same intention, so remember to share. Speaking of, RSVP! We are honored for this event to be supported by Whole Foods Market and American Homestead Bacon. If you'd like to sign up here, we'll let you know any details we think you need to know. 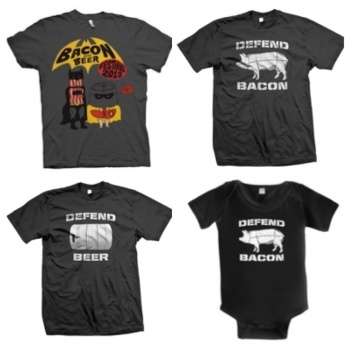 Get yourself an awesome Bacon and Beer T Shirt here! $16 each. If you have a question, send an email.